Paragon Landscape Construction is an award winning full service landscape construction company located in southeastern Massachusetts offering the highest quality services in landscape construction, stonework, plantings, and property maintenance. It’s a joy to work with such breathtaking project imagery, and an honor to collaborate with them in presenting their impeccable portfolio. Working with clients, builders, and landscape architects, they build some of New England’s premier landscapes. They have a well-earned reputation for being able to execute the most complex and logistically challenging projects. 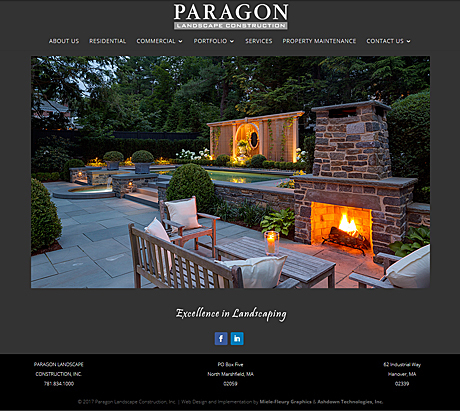 Visit the Paragon Landscape Construction web site.